In 1989 two electrochemists in Utah made an entirely unexpected announcement. They claimed to have found a resonance for deuterium fusion where no one had bothered to look before, at zero energy. The world trembled, and the race to confirm this extraordinary phenomenon was on. The enthusiasm was a very sharp pulse, but, as monopulses go, this one hasn't quite zeroed out yet. 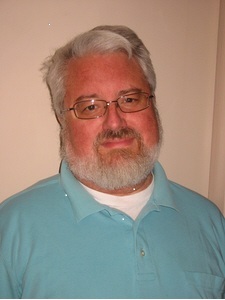 Jim Mahaffey has a bachelor of science in physics, a master of science, and a Ph.D. in nuclear engineering from the Georgia Institute of Technology. He worked at the Georgia Tech Research Institute for 25 years, enjoying a vast range of always interesting projects in computer science, mathematics, nuclear engineering, electronics, and a touch of physics. He was the project director for the design and construction of the Emergency Response Data System at the E.I. Hatch Nuclear Power Plant for Georgia Power, and he worked on the Loss of Fluid Test Reactor at the Idaho National Energy Lab. He is currently working on his 8th book about nuclear power.